Welcome to the seventh installment of the Haunted Montreal Blog! Released on the 13th of every month, the November edition focuses on research we are carrying out into the abandoned Wellington Tunnel in the haunted neighborhood of Griffintown. 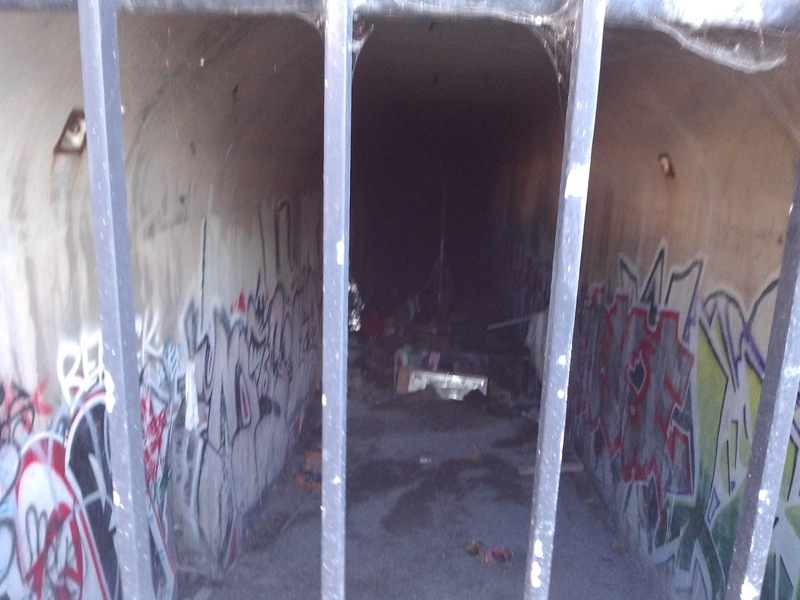 Hidden away just off Wellington Street, the decrepit and abandoned Wellington Tunnel is desolate and foreboding. 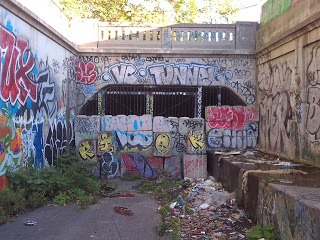 Crumbling and graffiti-scrawled, the tunnel is strewn with garbage and its hidden entrance is sealed off with concrete blocks and prison-like iron bars. The place feels extremely creepy and dangerous. The Wellington Tunnel was constructed in 1932 because the Swing Bridge from 1893 could no longer handle the heavy increase in now-motorized car traffic. The tunnel was constructed with 4 passages: two for cars, one for streetcars and one for pedestrians. Sometimes water flooded the passageways, making it dangerous, especially for the electric streetcars. On other occasions locals would dump garbage inside, creating obstacles for traffic. The Wellington Tunnel was not well-liked, with locals complaining about nasty fumes, horrible stenches and strange, foreboding noises when passing through it. After engineers detected dangerous structural problems in 1994, the Wellington Tunnel was closed and ultimately abandoned. It was replaced it with the current Wellington Bridge. The tunnel’s southern end was blocked off and its entrance buried, but the northern entrance can still be visited. Today the tunnel is used by people who know about its secret entrance. Homeless people sometimes use it for shelter and occasionally artists host clandestine vernissages (art exhibitions) and illegal rave parties. While the tunnel beneath the Lachine Canal is definitely spacious, it is also rumoured to be haunted, according to many of its users. Firstly, there are reports of a growling noise that emanates from within the darkness of the tunnel. According to one man who was contemplating sleeping rough in the tunnel, he heard what sounded like a large animal growling menacingly at him, so he decided to abandon his plan. In another instance, a new condo owner who was walking her poodle discovered the tunnel’s entrance accidentally. Curious, she and her dog approached the bars that seal the tunnel to have a peek inside. Her poodle appeared suddenly nervous and began to whine. They then heard an animalistic growling noise from within the tunnel, prompting her tiny dog to go berserk and start howling. Disturbed, she dragged her upset poodle away, vowing never to return. Whether the growling noise is caused by paranormal activity or some sort of creature who has taken up residence in the tunnel or is a matter of speculation. Secondly, a former resident of Griffintown who used to live across the street from the Wellington Tunnel reports the ghost of a man whose nickname was “Bucket of Blood” when he was alive. 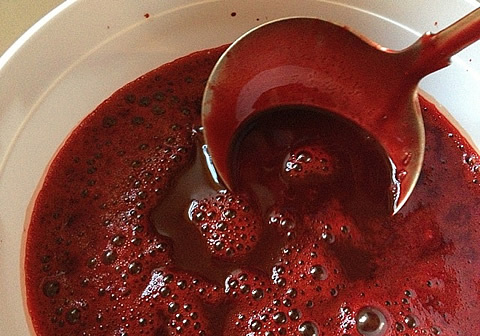 She recalls him traversing the tunnel from Point St. Charles to the Griff every evening after his shift at a slaughterhouse, always carrying a bucket of pig’s blood for his wife to make blood pudding. Despite his retirement and eventual death, his spirit continued to haunt the tunnel and was witnessed on many occasions, still carrying a bucket of blood. Thirdly, the phantom of a nervous young boy wearing a black suit with his pants cut off at the knee has been spotted on several occasions in the vicinity. Reports have placed him inside the abandoned Wellington Tunnel, on the shores of the canal, and on the Swing Bridge, located on an island in the middle of the waters. The ghostly boy appears to be anxious about something, as though he is late or in a rush. Usually, when he is spotted, he begins running away and disappears into thin air moments later. The ghost of the little boy wearing a suit seems out of place and out of time amongst the abandoned industrial infrastructure. However, back in the old days when the Griff was Canada’s most notorious shantytown, it was not uncommon to see children wearing suits. In fact, formal ware was practically a requirement for church-going and religious functions during the days when Griffintown was booming and locals worshipped at the now-demolished St. Ann’s Church. 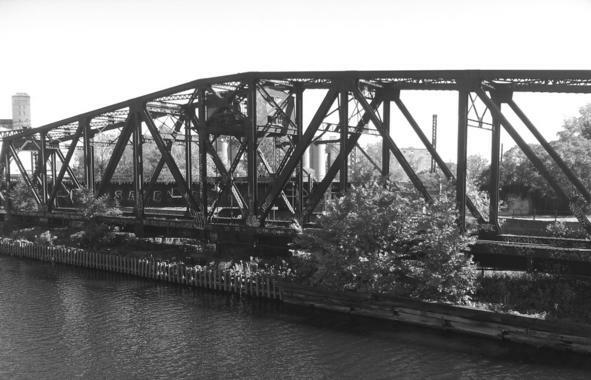 Research has indicated that at around 9 pm on the evening of Tuesday, September 17, 1908, a little boy was attempting to cross the Lachine Canal from the south side by using the Swing Bridge. He was wearing a black suit with knee-high pants. The bridge was designed to swing 90 degrees to allow canal boats through, meaning cars and pedestrians had to wait for a ship to pass before the bridge swung back into place. When the boy arrived on the south side, the bridge began to swing to allow a boat to pass. He jumped on the bridge to catch a ride across the canal. The bridge-keeper didn’t notice, as many pedestrians in a hurry would hop on the bridge as it began swinging to save time. They had to wait in the middle as a ship passed, and once it was through, the bridge began swinging back into its regular position, connecting both sides of Wellington Street. Unfortunately, the boy attempted to jump off on the Griffintown side before the bridge had fully swung into place. Instead of landing on the street, he fell between the abutment and the bridge and was crushed to death before the bridge-keeper could cut the electricity to the structure. When the bridge-keeper realized what had happened, he swung the bridge back out again and people pulled up the mangled body of a teenage boy with brown hair of about 13 years old. He was wearing a suit and in his pocket was a Montreal Swimming Club Card bearing the named Arthur Carr. An ambulance brought him to the General Hospital but the surgeon on duty noted that the boy was killed instantly when crushed by the Wellington Swing Bridge. The dead boy was placed in the morgue, but nobody claimed his mangled corpse. The most prominent theory about the haunting is that young Arthur Carr’s ghost remained after the tragic accident that killed him so suddenly. He was probably in a hurry to get home to the Griff after attending some sort of church function on the other side in Point Saint Charles, which may be why he was so well-dressed. Sometimes when a person is killed suddenly, their ghost returns but is not aware that they are actually dead. As such, there is speculation that this is the case with the confused phantom of the boy. Perhaps the reason he is seen sometimes in the tunnel is that he is still trying to cross the canal after his ill-fated accident in 1908. 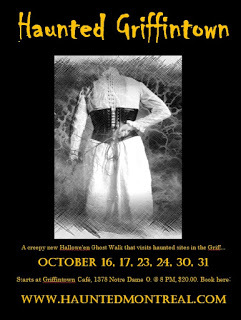 Haunted Montreal would like to thank all of our clients who attended the new Haunted Griffintown Ghost Walk this Hallowe’en Season. We did a total of eight tours and seven of them sold out. We also had to turn away over 100 clients due to popular demand, meaning the company will be expanding for next year. 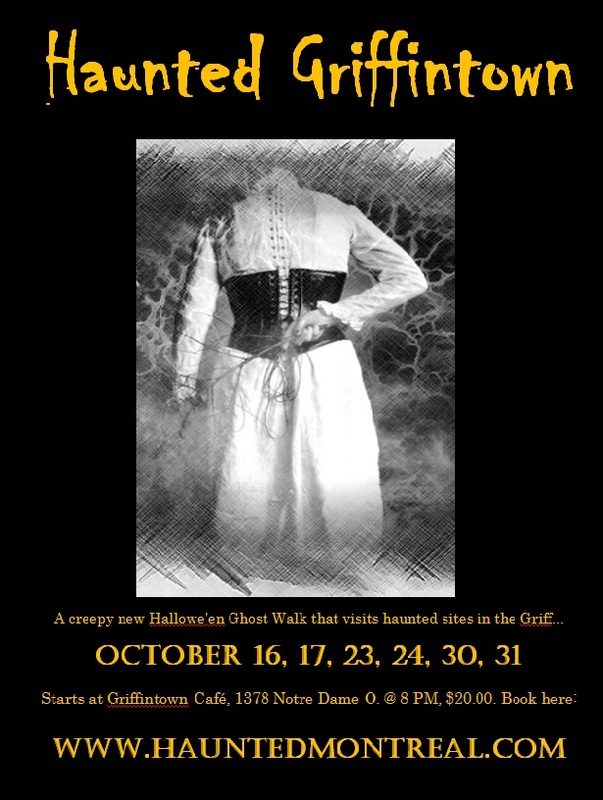 Haunted Montreal’s 2015 public season of ghost walks is now over, but private bookings for groups of 10+ are still available for all of our tours. For more information or to see which times and dates are available, please contact info@hauntedmontreal.com. Over the winter months, Haunted Montreal plans to expand for the 2016 season. Our goals are to reconfigure our website in order to improve it, to create a new box office system, to hire more actors and to have all of our tours available in both English and French. The public season should start again in May, 2016. In the heart of Pointe Claire Village sits a rambling old structure, once a hotel, that is rumored to be haunted by a shadowy figure who terrifies people on the building’s creepy third floor. A hotel has stood on the corner of Lakeshore Boulevard and Avenue Ste Anne since the 1880s, just a stone’s throw away from the historic Saint-Joachim Church. The original inn was destroyed after a fire ravaged half of the village in 1900, and the hotel was promptly rebuilt. 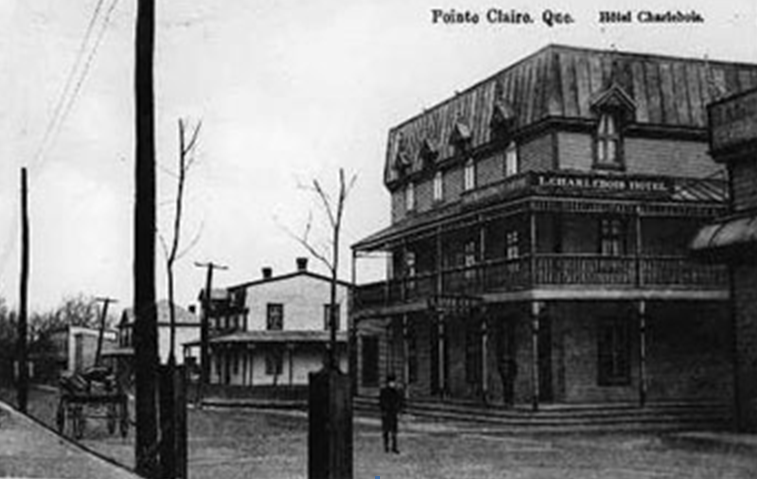 The Pointe Claire Hotel changed hands many times over the years and was often renamed after the proprietor, such as Charlebois, Rickner or Chénier. The hotel business dried up in the 1960s and the building has housed a series of drinking establishments and restaurants ever since, including the legendary Pioneer, followed by Clyde’s and most recently Le Pionnier. Bar staff who had to go to the office on the ominous third floor to deposit the evening’s accounts have reported a shadowy apparition that lurks about as well as feelings of being closely watched and occasionally touched by an unseen hand. 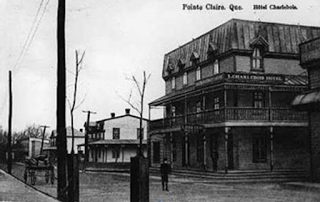 While nobody is certain who or what is haunting the old Pointe Claire Hotel, there is speculation the haunting is related to the nearby church – and unmarked cemetery!